While most motorists know about the key parts of their vehicles– engine, brakes, ignition and so on– familiarity with every little detail is a lot to ask of the average consumer. The most valuable strategy for vehicle owners is to educate themselves on the most vital components, learn how they work and prepare for them to break down or wear out. The fuel pump is one such aspect and you can find Park Muffler’s guide to this key feature below. 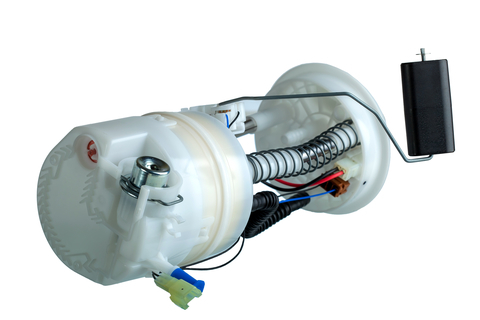 In this case, the name of the part is very literal– a fuel pump moves gasoline or diesel from the fuel tank to the internal combustion system. Since we all know you need fuel to make a vehicle go, it is not hard to imagine just how important a fuel pump is to the entire system. It does not matter how full your tank is if fuel is not getting delivered to the engine. Modern fuel pumps run on commands from the vehicle’s electrical system, while older fuel pumps run on the momentum created by an engine. Internal combustion vehicles do not only burn fuel, they require the right mixture of fuel and air to function properly. Too much or too little of either may mean your vehicle is not going anywhere soon. A fuel pump draws in fuel from the tank in precise measurements and delivers it to the carburetor or fuel injector (systems that combine the fuel with air). When you accelerate, your vehicle demands more power and this is partly managed by the pump increasing the flow of fuel through the system. They do not just handle the amount either– a working fuel pump also maintains steady pressure to ensure outside factors do not prevent the engine from receiving the fuel it needs. How can a fuel pump break? Fuel pumps are historically very durable, but as with anything they suffer wear and tear over time and continued use. Most often the internal components reduce in effectiveness and efficiency as they age– leading to problems such as surging, lagging, poor acceleration, sputtering or even failing to start. Many of these are a direct result of low pressure or the wrong amount of fuel being delivered. As these issues can have many other causes, it is important to know when your fuel pump was last maintained or replaced. Passing this onto a trusted mechanic can save time and money spent diagnosing a nagging issue. The above information is only a summary of what fuel pumps are, how they work and what can go wrong with them. This basic knowledge is enough to get you started, but contact or visit us at Park Muffler with any questions or concerns. Our friendly professionals are standing by to assist and inform you– and should the worst happen, we will have you back on the road in no time!